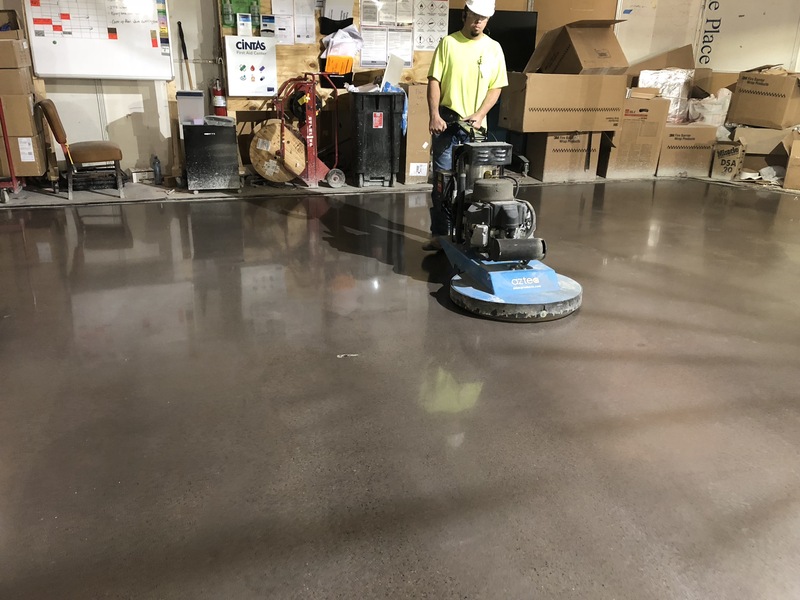 The Concrete Polishing Council of the American Society of Concrete Contractors organization has big benefits for contractors, from educational resources to new contractor mentoring. The American Society of Concrete Contractors (ASCC) is the premier trade association dedicated to concrete contractors and others who provide services and goods to the concrete construction industry. The ASCC shares the same goals of all concrete contractors – to improve business and their roles as contractors. The organization boasts at least 750 member companies in the U.S. and abroad, including contracting firms, manufacturers, suppliers, designers and other concrete professionals. 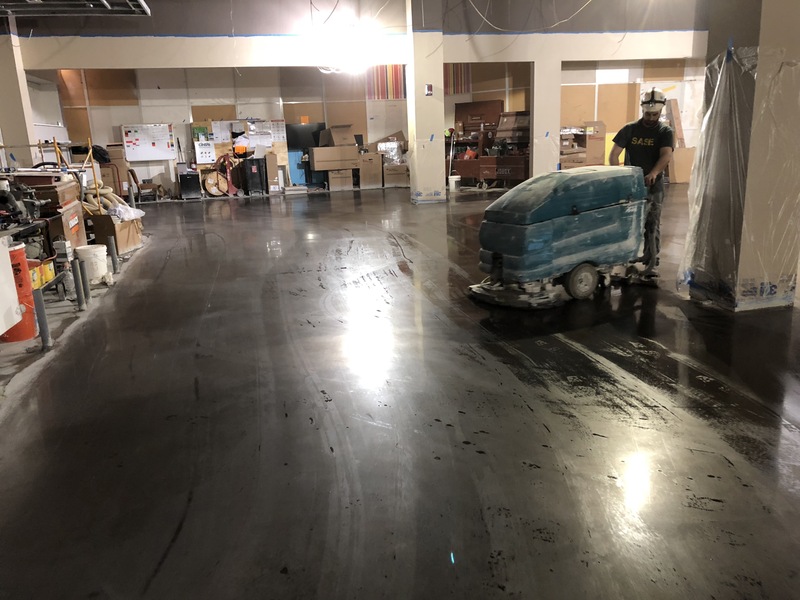 Recently at the ASCC Annual Conference, the Concrete Polishing Council (CPC) announced a few updates that could mean great things for contractors. The CPC, formerly the CPAA, is continuing to provide standards, educational opportunities and a professional network for polishing contractors and others in the industry, while adding new benefits to help contractors network, learn and build a reputation in the industry. Here’s a look at some of the best member benefits of the ASCC, and CPC specifically, and how they can help contractors. This is undoubtedly one of the best benefits of the CPC. Pursue certification through the Tradesman Introduction Course, which provides instruction on variables and challenges of the polishing process either online or in a classroom setting. You can also get a Craftsman Level 1 Certification, a hands-on classroom experience that demonstrates a higher level of skill. 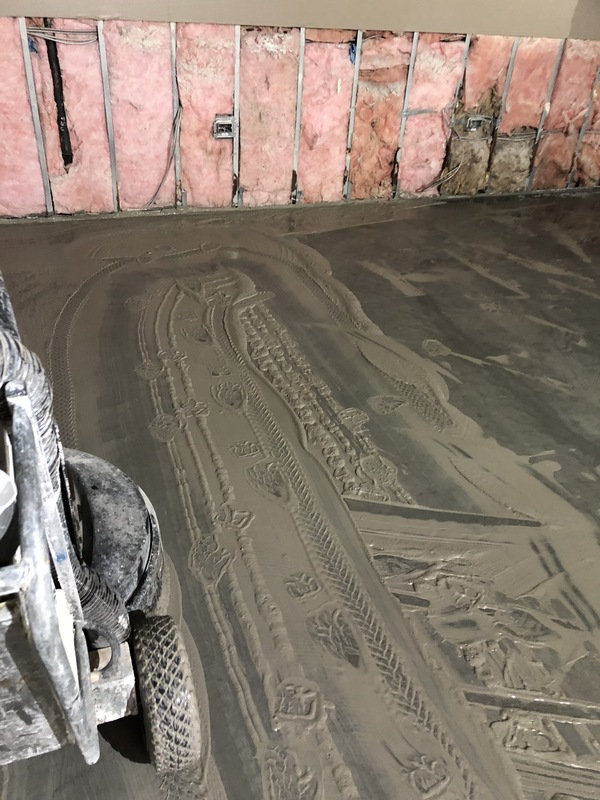 If you have an urgent question while working on a job site, the CPC offers three hotlines: Decorative Concrete, Concrete Construction and Safety and Insurance. These are a huge help when you need reliable advice and don’t know where to turn. They’re staffed by knowledgeable concrete professionals who will steer you right every time. The CPC has mentors available who can guide your professional development. As long as you’re an ASCC member, you qualify to have a mentor. In addition to this, a major benefit of being an ASCC member is MIX Groups. The Management Information eXchange (MIX) Groups program is a way for owners of concrete construction firms to meet regularly and share best practices without violating antitrust laws. Participation is FREE to members. CPC members receive a free copy of the Guide to Selecting a Concrete Contractor, which is a comprehensive handbook that includes drawings, safety practices, information about insurance coverage, references and tips on how to develop price quotes that beat the competition. You’ll also receive the ASCC monthly newsletter, where you’ll get to know people and topics related to the organization. All ASCC members also receive free copies of the Safety Manual and the Sealer Publication, plus one free first issue of helpful industry publications like the Contractor’s Guide to Quality Concrete Construction. Free magazine subscriptions include Concrete International, Concrete Contractor and Concrete Décor – 3 publications that will keep you up-to-date on industry trends. Members also qualify for heavily discounted subscriptions to other magazines. Your business is listed in all ASCC and CPC directories, including online, along with detailed contact information. This makes you highly visible to the public and boosts your reputation with search engines like Google. When you’re just starting out in the industry or looking to build your network, CPC networking opportunities are a great place to start. Join a CPC committee, attend an event or participate in one of many social outings that put you in the same room as experts in the industry. The ASCC sponsors world-class events for the concrete industry, including the Annual Meeting, Concrete Executive Leadership Forum and World of Concrete (WoC), which takes place January 21-15, 2019 at the Las Vegas Convention Center. Runyon Surface Prep Rental & Supply will be there and we invite contractors to stop by our booth S12339 and say hi. 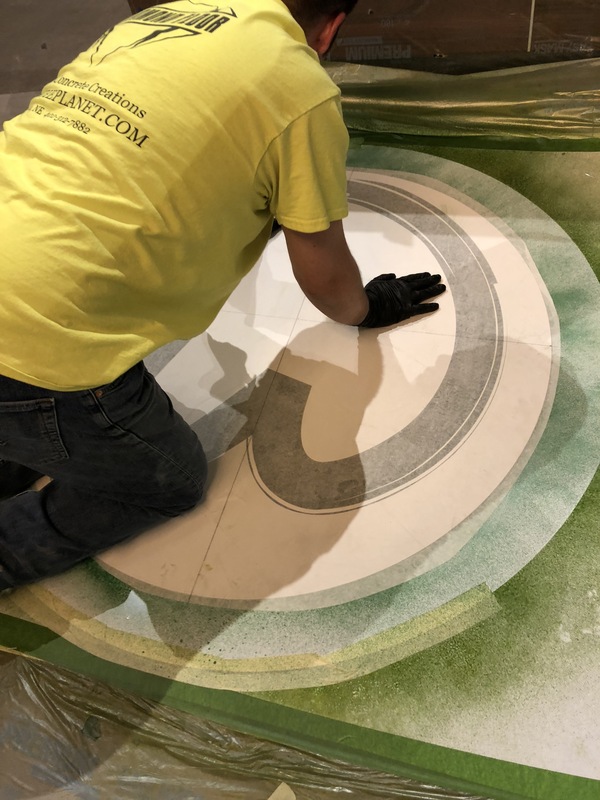 You can also email heidi@runyonsurfaceprep.com for more information. What Could Dust Extraction Cost You? Dust extraction on a jobsite must be handled carefully, or the mistake could mean steep OSHA penalties. The Occupational Safety and Health Administration (OSHA) takes airborne and surface-borne dust very seriously because of its severe risks to job site workers and public safety. Every year, more than 2 million construction workers are exposed to materials that contain silica, including concrete and stone. Prolonged exposure to silica dust – or even short-term exposure in some cases – can cause a condition called silicosis, which compromises respiration. In affected people, scars form deep within the lungs, limiting the breath and increasing the risk of lung infections like tuberculosis. There is no cure for silicosis. In 2016, OSHA updated the Crystalline Silica Rule, establishing tougher standards for respirable crystalline silica, including an enforcement schedule that’s in effect for construction sites, industrial settings, maritime operations and contractors. The standards are much stricter than those set by OSHA’s original silica rule in the 1970’s. Is your work site in full compliance with the new rule? Here’s why it should be. To handle crystalline silica dust properly, follow all OSHA standards for respirators, exposure limits, engineering controls and other measures that directly affect worker health and safety. Monitor exposure levels and stay within the boundaries of exposure limits: 50 micrograms per cubic meter of air at an 8-hour, time-weighted average. Use a high-quality HEPA vacuum to filter the air and remove airborne particles created by grinding, drilling, mixing, cutting, blasting and other worksite activities. Plan for both wet and dry activities and ensure all workers are fully trained on precautionary procedures in case an emergency arises. Pullman Ermator, maker of single-phase HEPA dust extractors, recently conducted a cost analysis on what bags, filters and labor could cost you for dust extraction over a year. The first is your initial cost, where your choices include 150 CFM and smaller plastic dust vacuums that are HEPA-ready or HEPA-included. Your annual filter costs depend on the type of vacuum you are using. Single-motor dust vacuums with self-pulsing or shaking filter systems need to be replaced periodically. While a HEPA-ready vacuum needs a filter change every two months, HEPA-included dust extractors run for 18 months without a filter change. Figuring in the price for each type of filter bag, plus the annual labor cost of changing two bags per day during a six-day work week for 50 weeks a year, the HEPA-included models come out on top – even though the filter bag price is higher. In the long run, you could end up paying $3,000 more for a plastic dust vacuum. Purchasing any S-line dust extractor may have a higher initial cost, but you still can save thousands of dollars year after year. OSHA’s enforcement penalties for the Crystalline Silica Rule come with expensive fines. The lowest level serious violation previously cost the violator $7,000 in fines. In the updated standards, the same level violation costs $12,471 per incident and is likely to trigger a deeper investigation by OSHA and other governmental authorities. 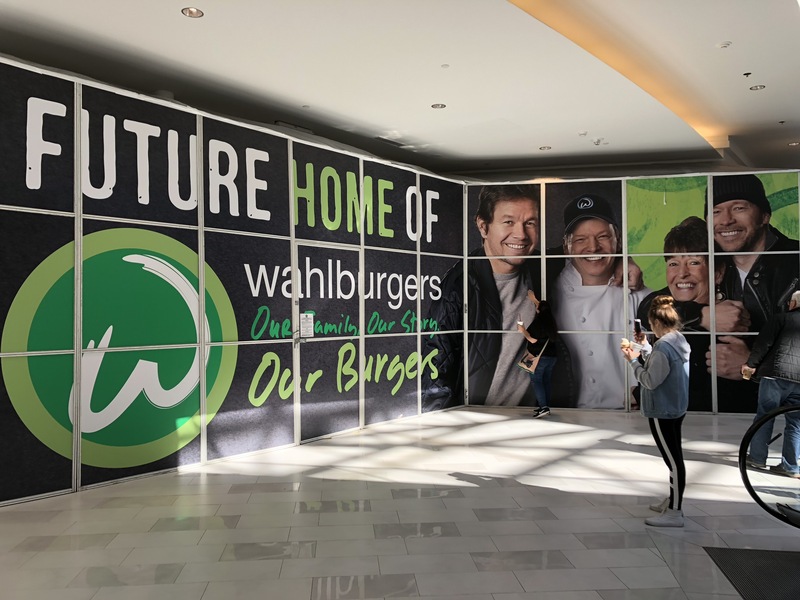 After the first incident, it’s the company’s responsibility to manage abatement procedures and prove to OSHA that abatement has taken place. Otherwise, you’ll face a failure-to-abate fine of $12,471 per day beyond the abatement deadline from OSHA. The biggest penalty comes from either waiting too long to address issues or allowing them to take place repeatedly, which OSHA considers a willful violation. This comes with a staggering $124,709 fine, which can be doubled, tripled or more if you have numerous serious violations across your enterprise. The cost of non-compliance goes much deeper than dollars. Failure to manage crystalline silica dust can destroy the health of your workers. Part of OSHA compliance is providing medical exams at least every three years to workers who wear respirators for more than 30 days at a time. These standards are set for a reason – to prevent workers’ health and lives from being permanently affected by worksite hazards. Non-compliance can also ruin your company’s reputation in the industry. When competitors, partners and the public get wind of unethical practices, word spreads like wildfire and it can permanently tarnish a company’s image. Just one violation could severely limit the number of jobs your company is awarded in the future. To keep your worksite risk at an absolute minimum, contact your Runyon sales rep to examine the site and put protective measures in place. It’s a proactive step towards staying well within OSHA boundaries and making sure dust doesn’t cost you money and lives. 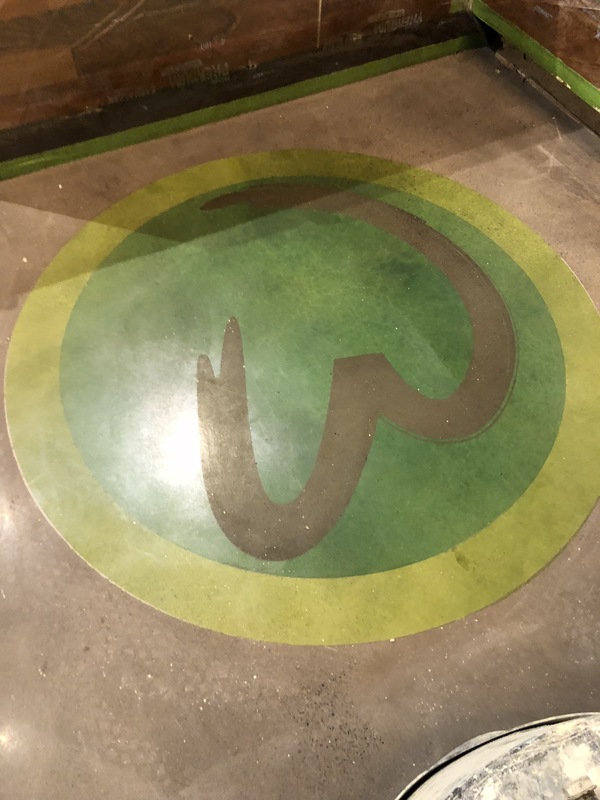 This week we want to feature an impressive TRU PC overlay job completed by Custom Concrete Creations in the Wahlburgers at Mall of America. 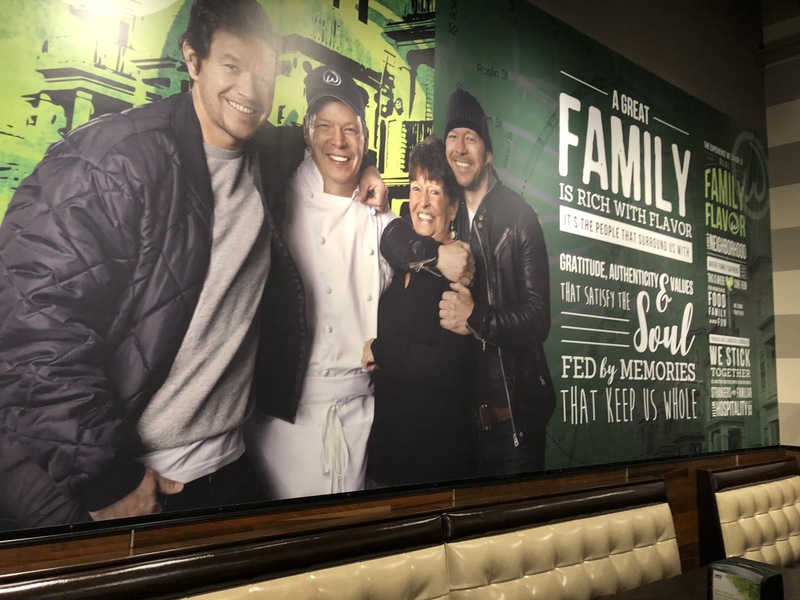 You can see the before and after shots of this 3,600 square foot restaurant below. 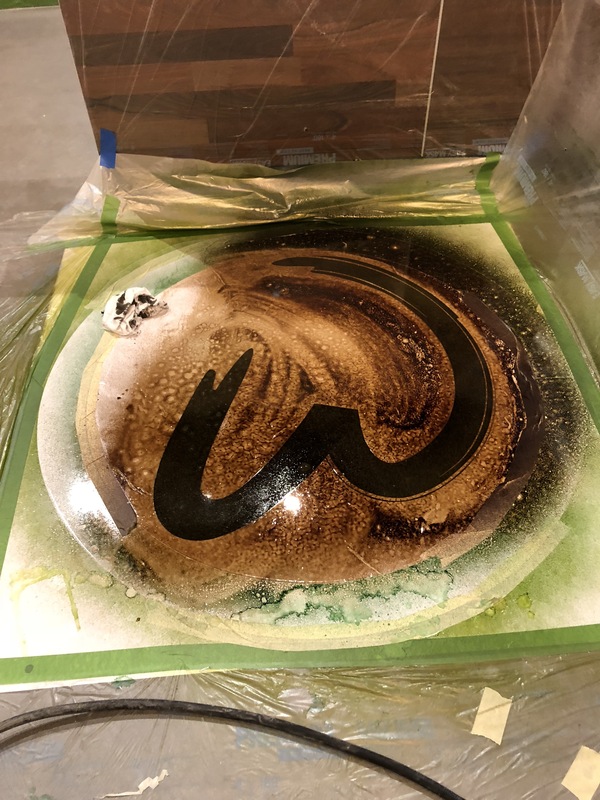 In addition, we’ve included some snapshots of the process, including a logo stencil application and wet grinding and polishing. Big thanks to Hy-Vee Construction and the CCC crew on this job: Matt Safford, Tyler Hansen, Pete Clifton and Keenan Hanson. 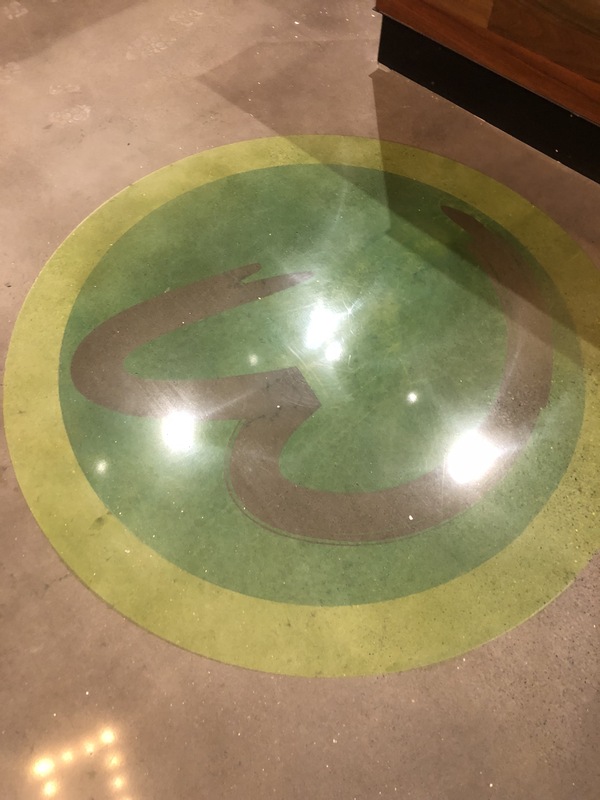 Custom Concrete Creations specializes in Polished Concrete flooring. CCC services Industrial, Commercial and Residential clients throughout the Midwest. 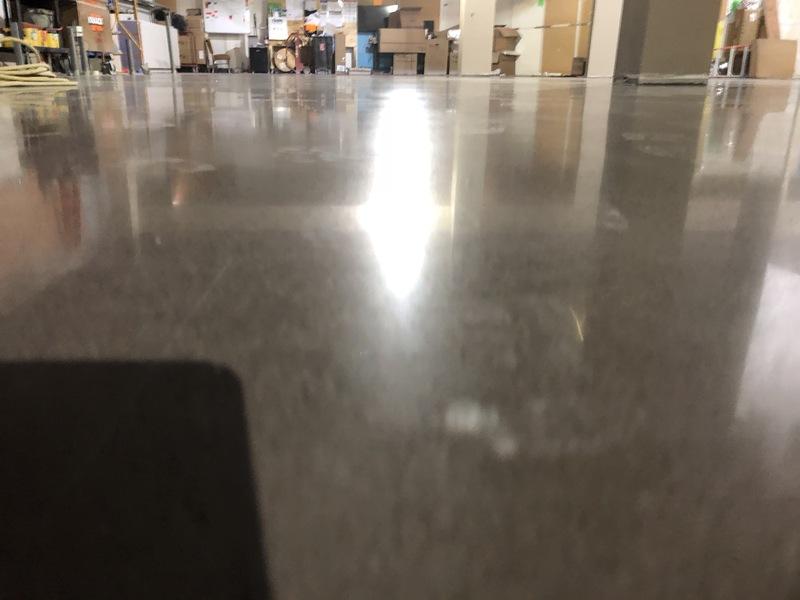 Custom Concrete Creations has been in the Polishing market since the craft became popular over five years ago. They have the passion and expertise to help your project succeed! Today is all about Joe Vertrees. Joe’s sister Jackie works in our Customer Service Division. This is how we found Joe. Joe was born at home on May 20, 1991. Jackie is his biological sister, and he also has three step-siblings. In his younger years, he moved around the state of Ohio quite a bit. However, he planted his roots at Liberty-Benton High School, where he was in vocational classes and studied construction management skills. As a teenager, Joe was extremely curious, motivated and driven. At fifteen, he rode his bike to his first job, which was at a shooting range. And from there he continued to develop different skill sets such as: working in an Outback kitchen, traveling for a moving company, working his way up to Parts Manager at a Michigan-based company, and eventually finding his way to Runyon. Joe spends his spare time with his rescue pitbulls and cats. He has two pitbulls: Sophia and Domino, and two cats: Zippo and Minx. He is extremely passionate about training his animals and has read all of Cesar Millan’s books. Since high school, Joe has been an avid reader. He reads whatever peaks his interest at the time. Joe and his sister work well together at the shop and we are extremely lucky to have this curious, motivated and driven young man on our Runyon team!